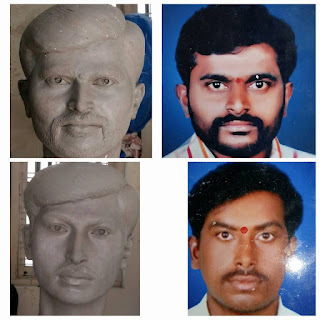 Gandhi Statues Made by Bodasu Venkataramana. One of the statues was ordered by GSI (Geological Survey of India). Venkataramana was honoured by GSI on the occation of unveiling of the statue of Mahatma Gandhi. 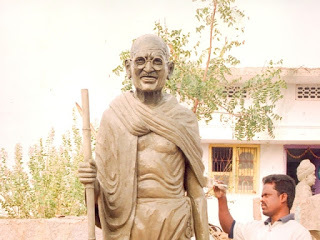 Another Statue of Mahatma Gandhi in Sitting Position is placed at kothapet Court, Hyderabad.